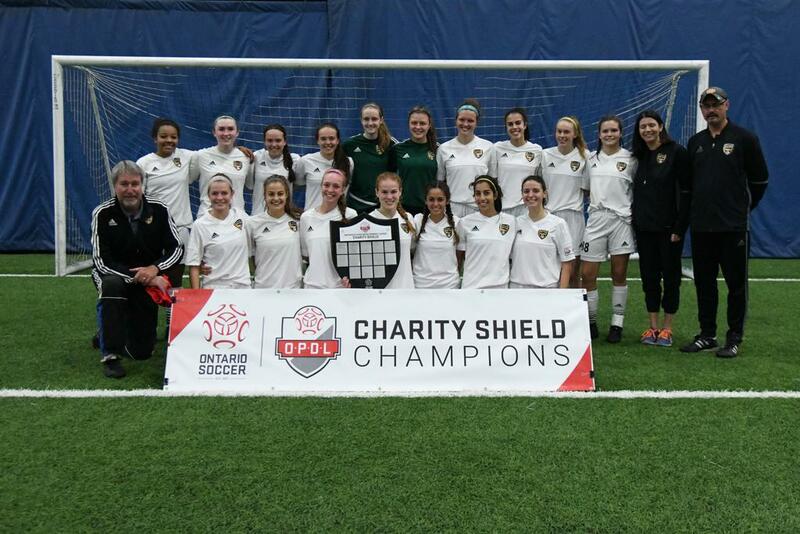 The U-16 Girls OPDL Charity Shield saw Hamilton United Elite taking on West Ottawa SC in a showcase of some of the best athletes in the province. Hamilton got things going early when Cassidy Brooks pounced on a loose ball in the West Ottawa box in the 10th minute and sent a rocket of a shot into the top corner to make it 1-0. As Hamilton continued to press high, West Ottawa led a counterattack fronted by Olivia Cooke. Cooke’s cross into the box was spilled by the Hamilton keeper and West Ottawa’s Jenna Matsukubo jumped on the rebound and hammered it into the net to level the score at 1-1. Both teams would continue to press for another goal but neither were able to find the net before the half. After the restart it was West Ottawa who had to be alert. West Ottawa keeper Morgan Fedosiewich was called on to make numerous saves, including one diving effort that seemed destined for the back of the net. Hamilton’s Sahara Zingano would finally solve the West Ottawa puzzle when she got in behind their defence and slotted her shot into the far corner to make it 2-1. Emma Greenhough would increase Hamilton’s lead moments later when a seeing-eye shot found the upper corner from 25 yards out, making it 3-1. 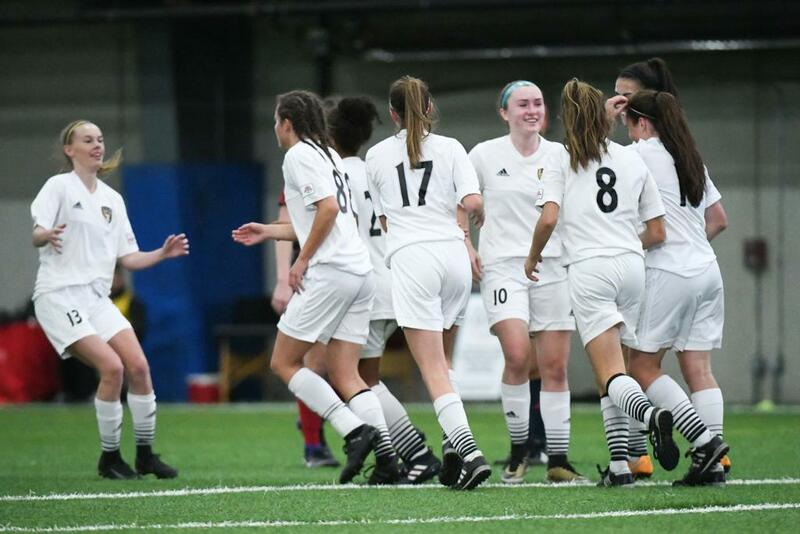 That would be all Hamilton would need as they closed the door the rest of the way to win the U-16 Girls OPDL Charity Shield. 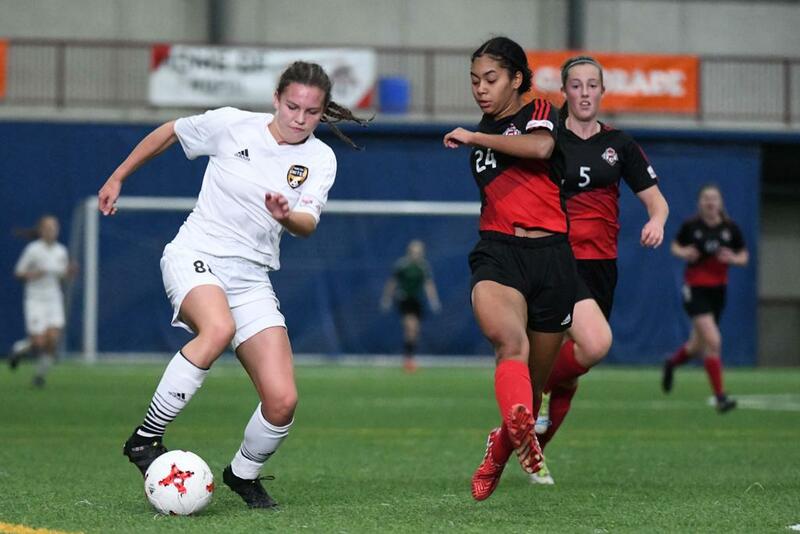 Visit the Ontario Soccer Facebook page for all the photos from the final. 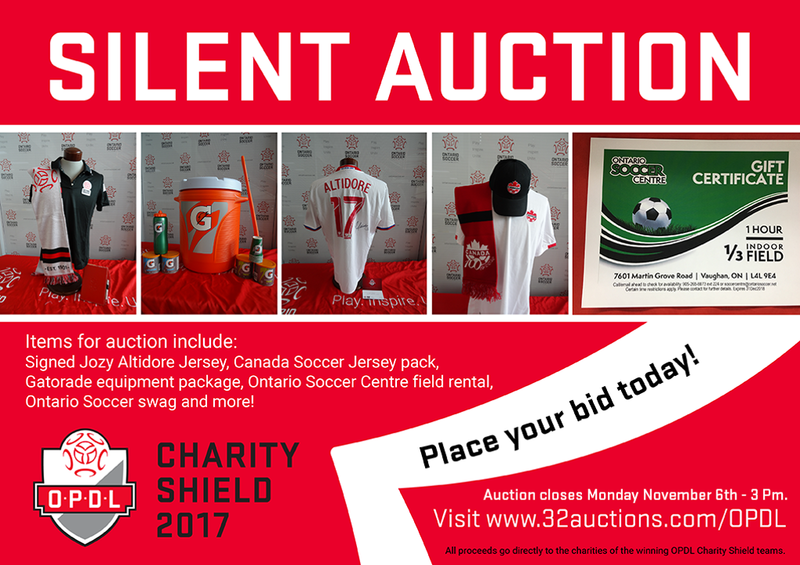 This year, the OPDL is also running a silent auction, where those in attendance and those watching from home can bid on some fantastic prize packs and gear. Visit the Silent Auction website to place your bid. Last year, over $2,900 was raised and that money was given evenly to Sick Kids Hospital (Vaughan U-14 and U-15 Boys), Breast Cancer Foundation (Ottawa South United U-14 Girls) and Holland Bloorview Concussion Centre (Markham SC U-15 Girls).